Nigeria Physiotherapy Network - Akinwuntan named to the 2016 Fulbright Specialist Roster in Medical Sciences, to Iceland! Home > About Us > PhysioNews and Other News > Akinwuntan named to the 2016 Fulbright Specialist Roster in Medical Sciences, to Iceland! Akinwuntan named to the 2016 Fulbright Specialist Roster in Medical Sciences, to Iceland! The Nigeria Physiotherapy Network is extremely proud to announce that our colleague, Abiodun E. Akinwuntan, PhD, MPH, MBA, Professor & Dean of the University of Kansas School of Health Professions, has been named to the 2016 Fulbright Specialist Roster in Medical Sciences, to Iceland! As impressive as KU's history is with the Fulbright program, Akinwuntan wants to bring it to a higher level. Educated in his home country of Nigeria, as well as Belgium, England and the United States, Akinwuntan brings with him a host of international expertise. His Fulbright experience began when he was named a U.S. Fulbright Scholarship Award recipient in 2013-14, and he spent 10 months in 2014 working in the College of Medicine at the University of Lagos in Nigeria, where he focused on improving physiotherapy education and research as well as the rehabilitation of neurologically impaired patients. In February 2015, Akinwuntan was named to the 2016 Fulbright Specialist Roster in Medical Sciences. Fulbright specialists are former Fulbright Scholars who are placed on a roster of experts, and interested institutions with a need in their specialty can request the specialist to come to their country to work on a project. In this role, he will be traveling in October to the University of Akureyri in Iceland to assist in developing a neuropsychology course. "I look forward to establishing a strong relationship between our institutions," he said. In July 2015, Akinwuntan also was chosen to serve for three years as a member of a four-person peer review committee for all Fulbright Grant applications to West and Central Africa. During the grant review process, all the panelists must agree on the worthiness of an application in order for it to be passed on for a final funding decision, which is made by the U.S. Embassy in the host country. Akinwuntan also serves as a Fulbright pre-departure expert for students and scholars traveling to Africa. In June, he attended an orientation in Washington D.C. for students and scholars heading to Sub-Saharan Africa. "There are three things people going to Africa need to know," Akinwuntan said. "Never go to a country with just one plan because things happen. You need to have a secondary plan and a tertiary plan. Next, when you are traveling, always have a kit ready in case you have just one hour to get ready to leave." 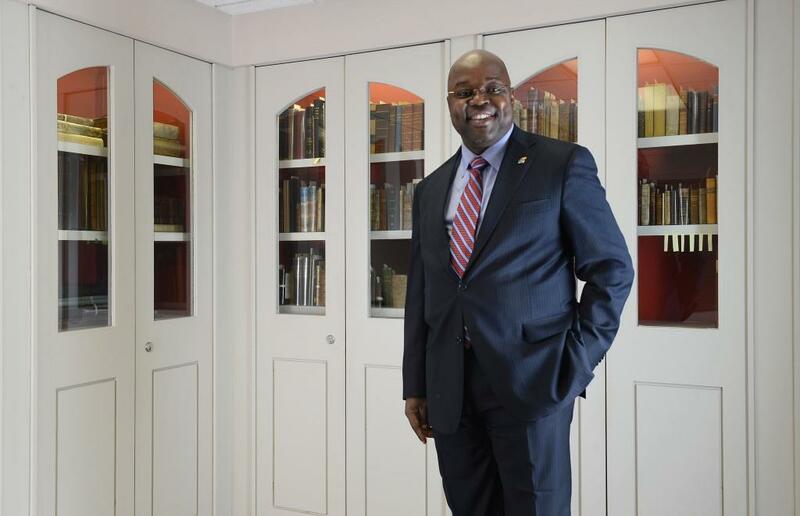 Akinwuntan's knowledge and experience should prove invaluable to students and faculty at KU Medical Center, and his involvement in several Fulbright activities should raise the awareness about KU Medical Center both nationally and internationally. "He is extraordinary, said Kimberly Connelly, senior international officer with KU Medical Center's Office of International Programs." He will be an incredible asset for promoting Fulbright to faculty, administrators and students."